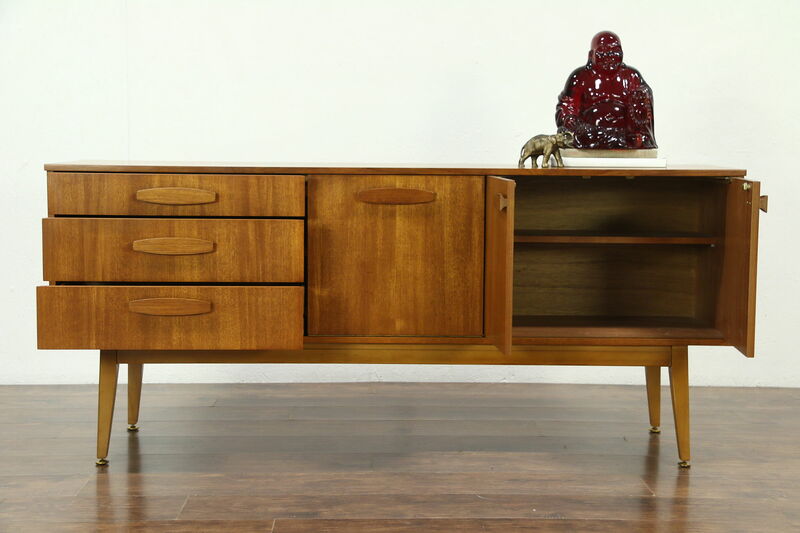 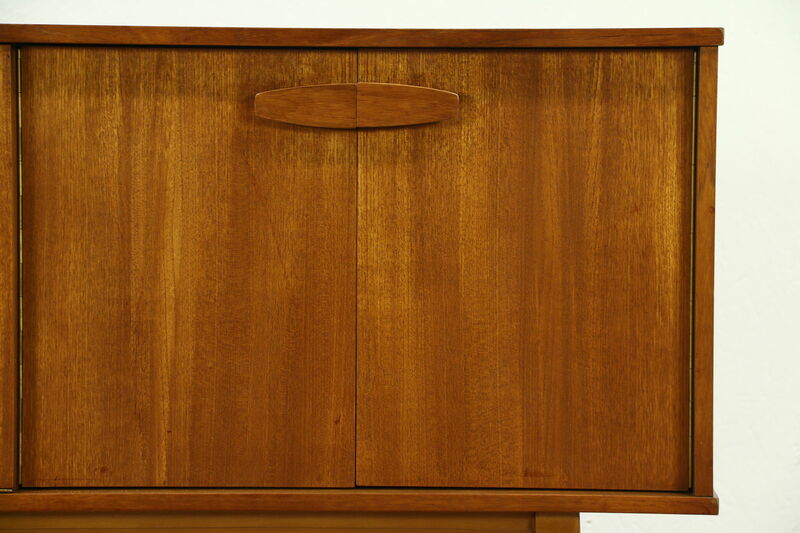 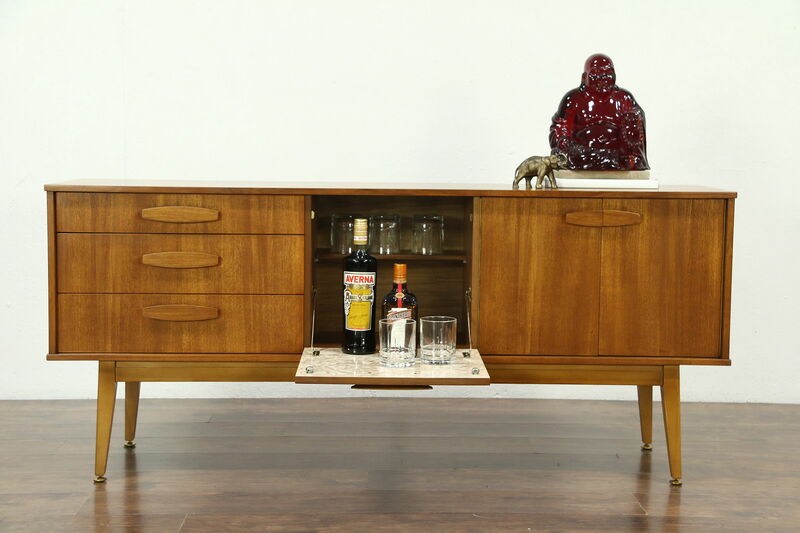 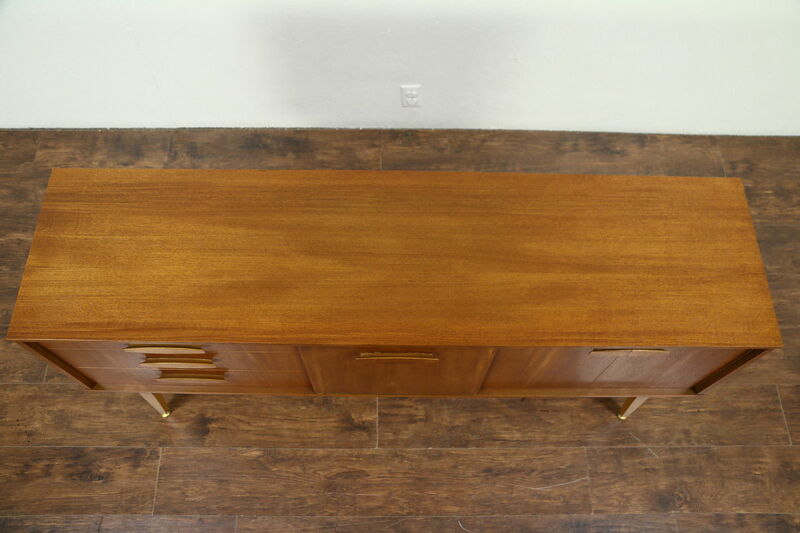 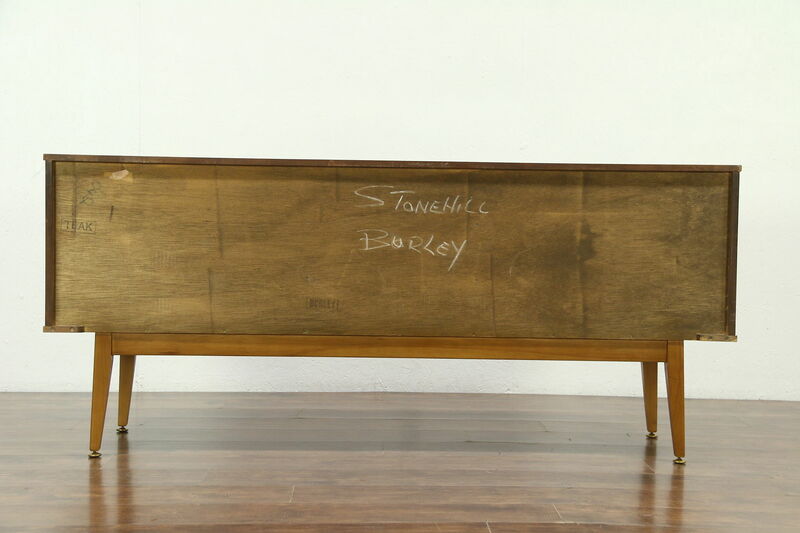 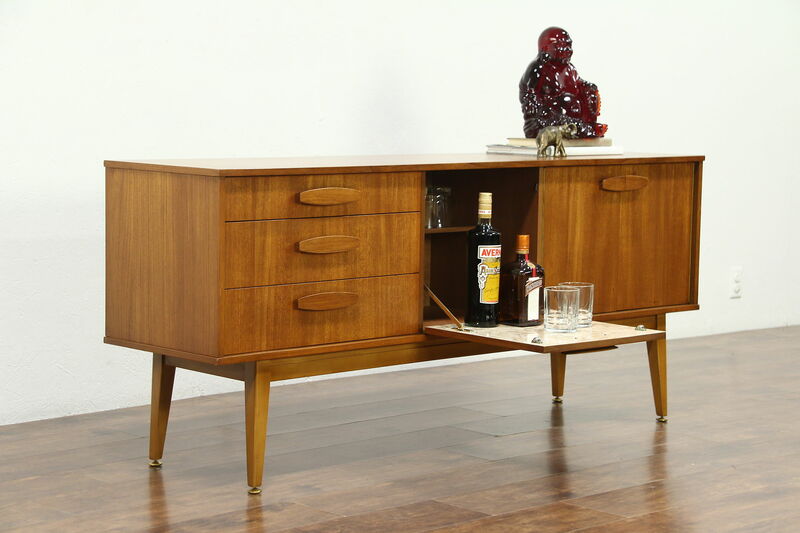 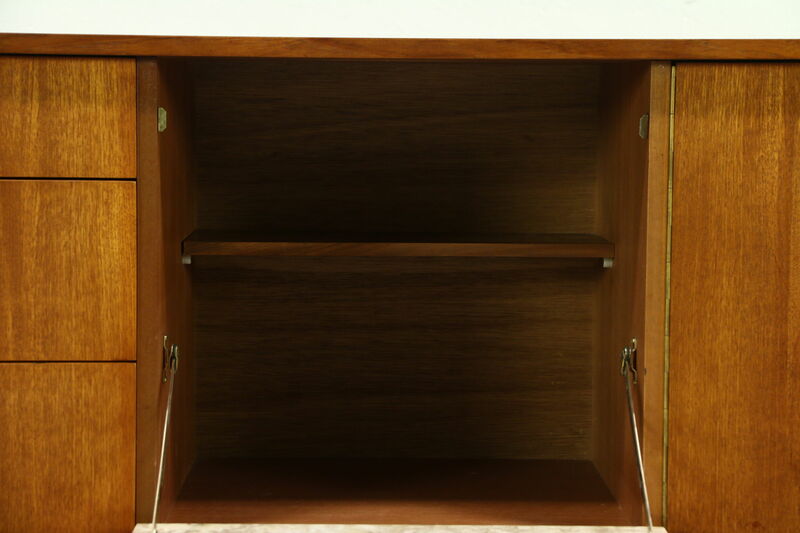 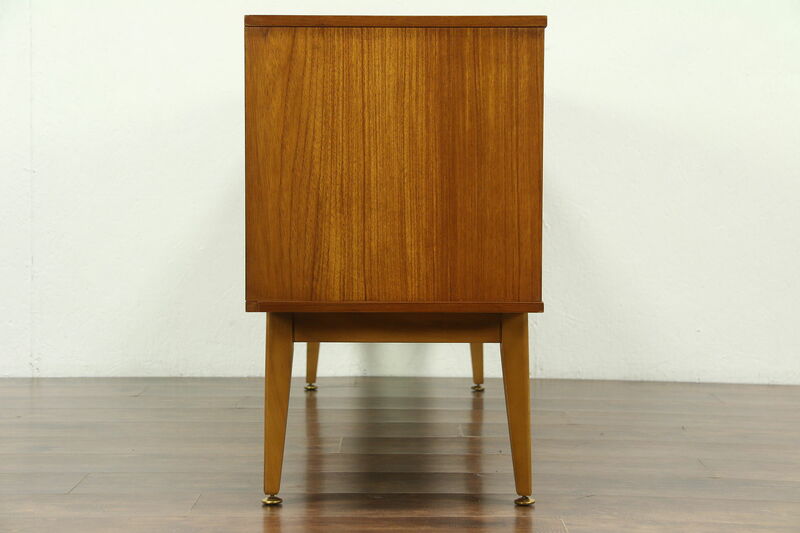 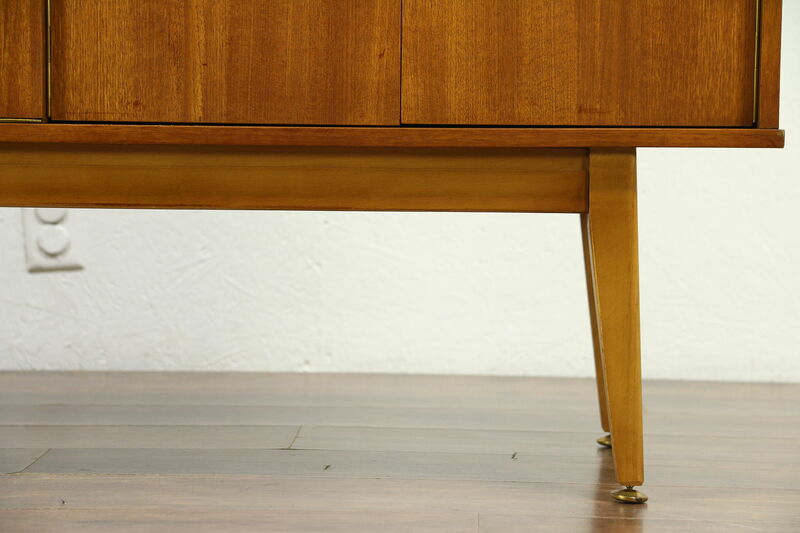 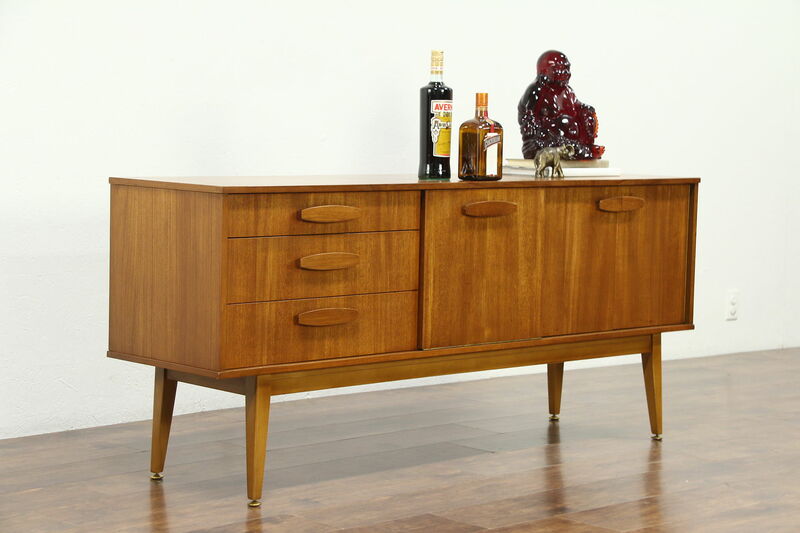 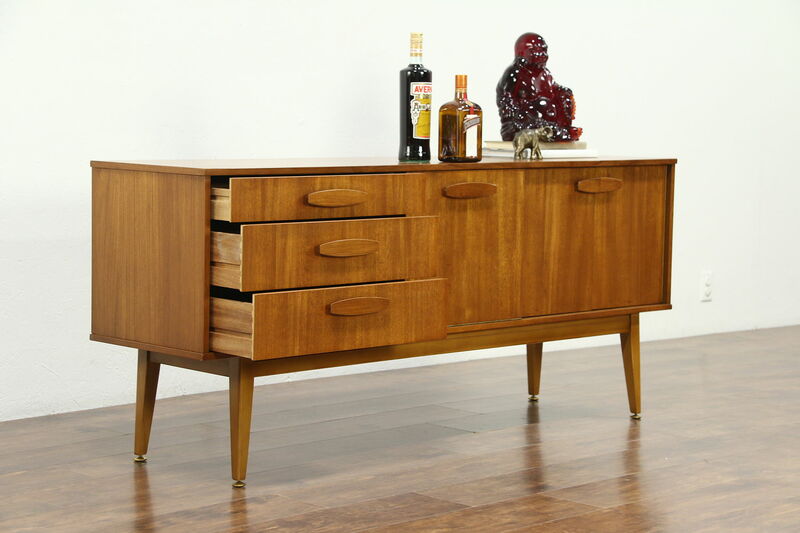 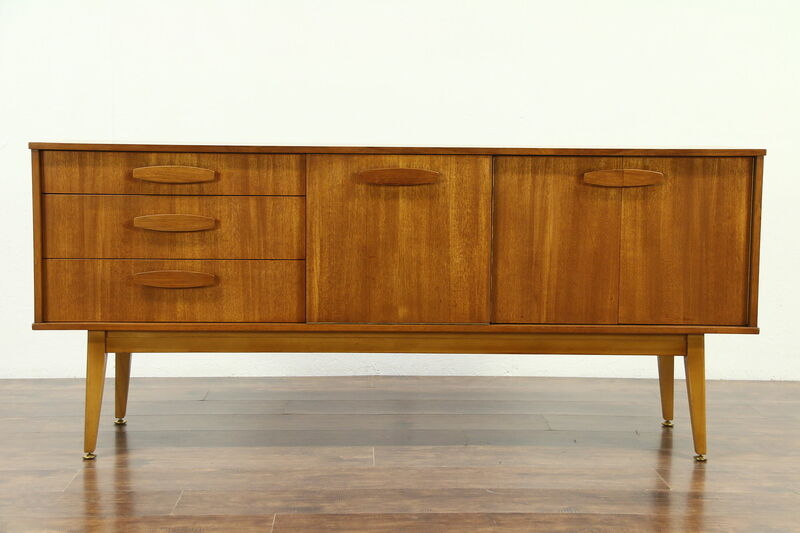 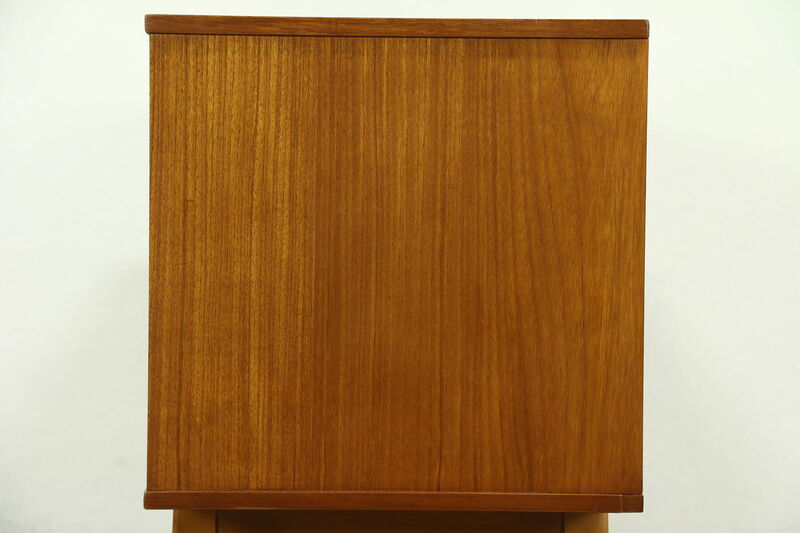 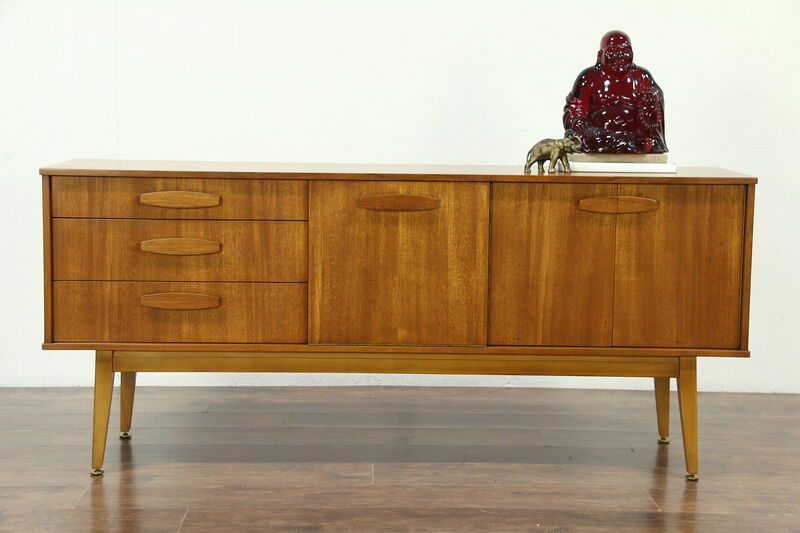 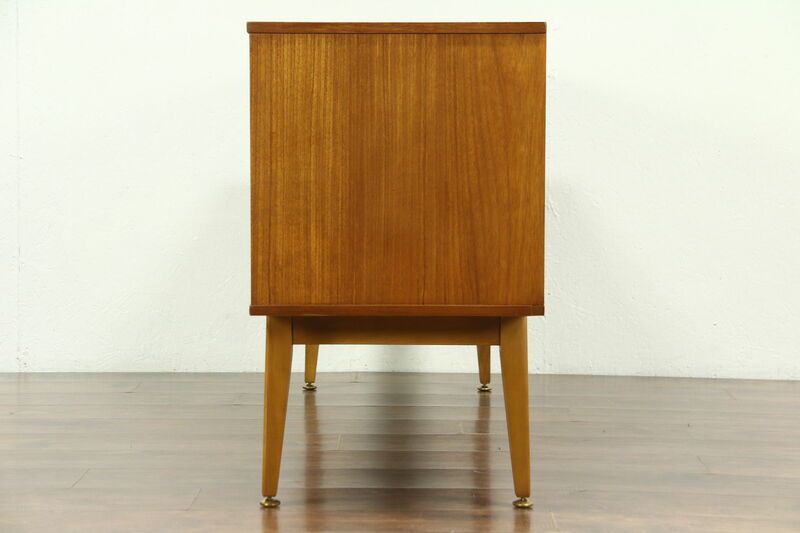 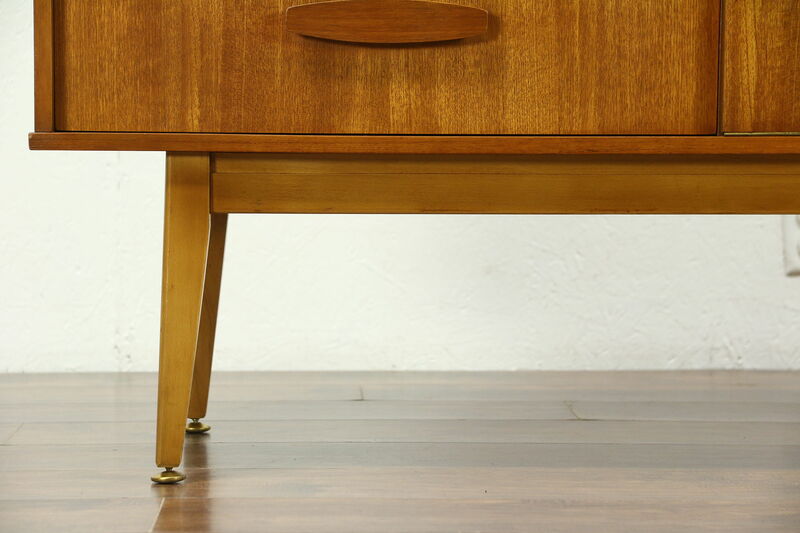 Genuine teak, this Midcentury Modern credenza, sideboard with bar cabinet or wide TV console cabinet from the 1960's was expertly crafted in England and signed "Burley." 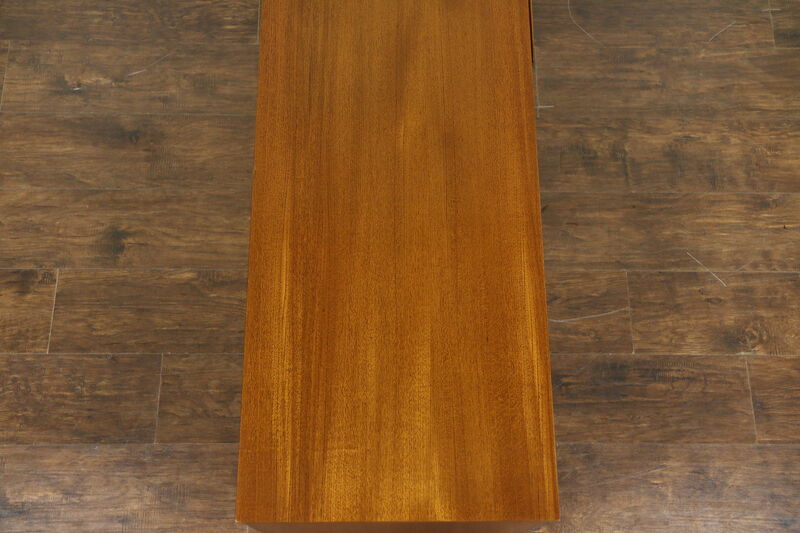 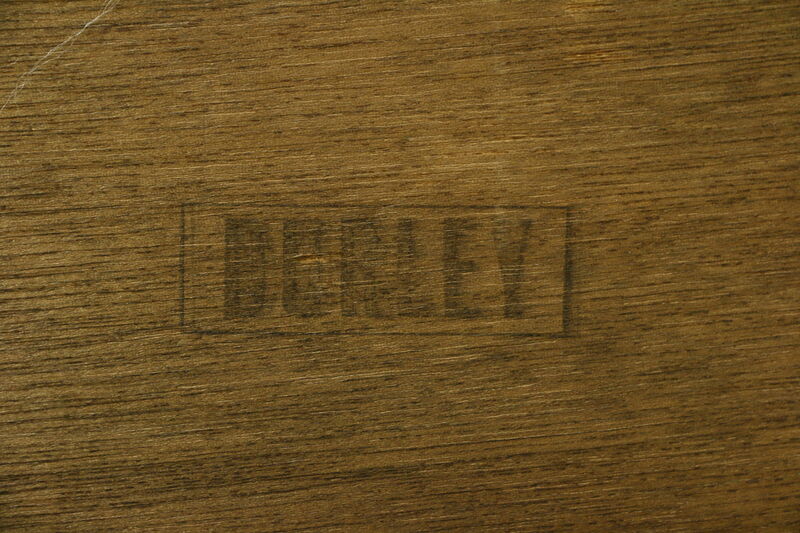 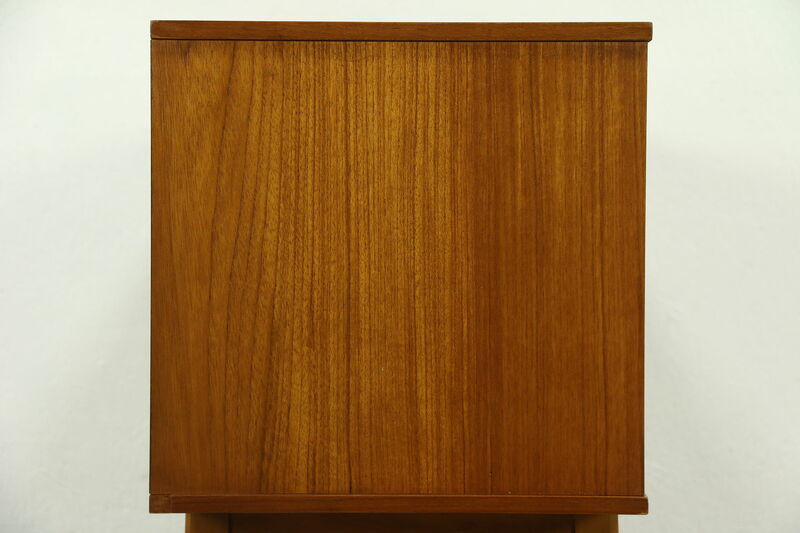 The renewed finish is in excellent condition on richly figured teak. 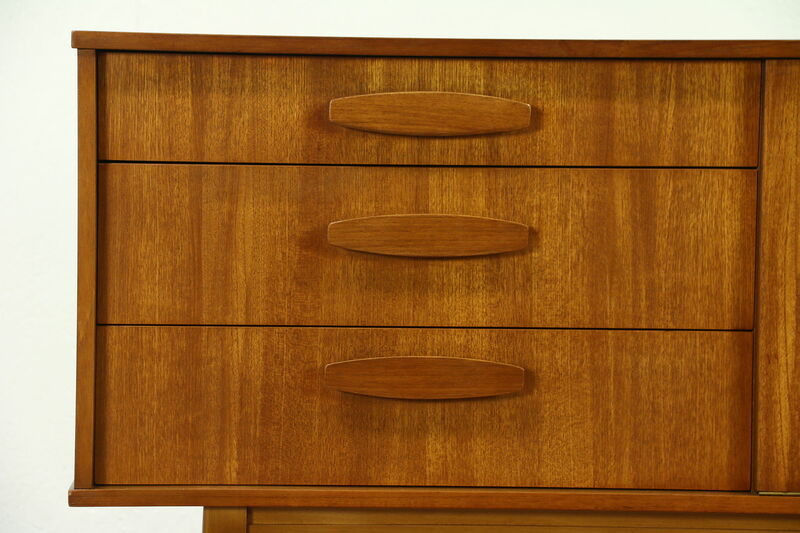 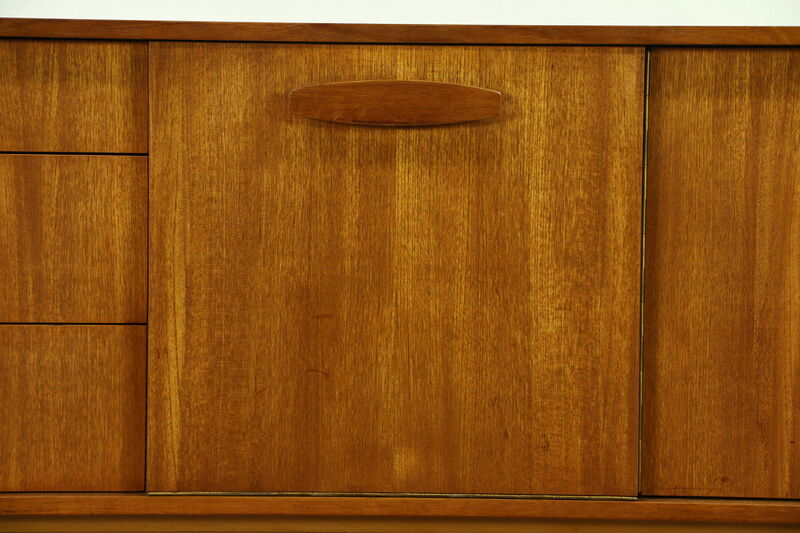 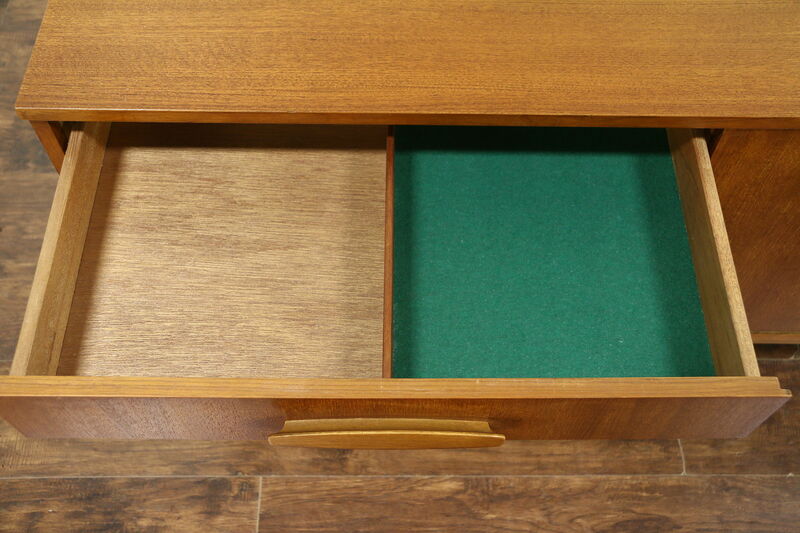 Three center drawers with solid mahogany dovetailed sides include a felt lined silver drawer on this vintage furniture. 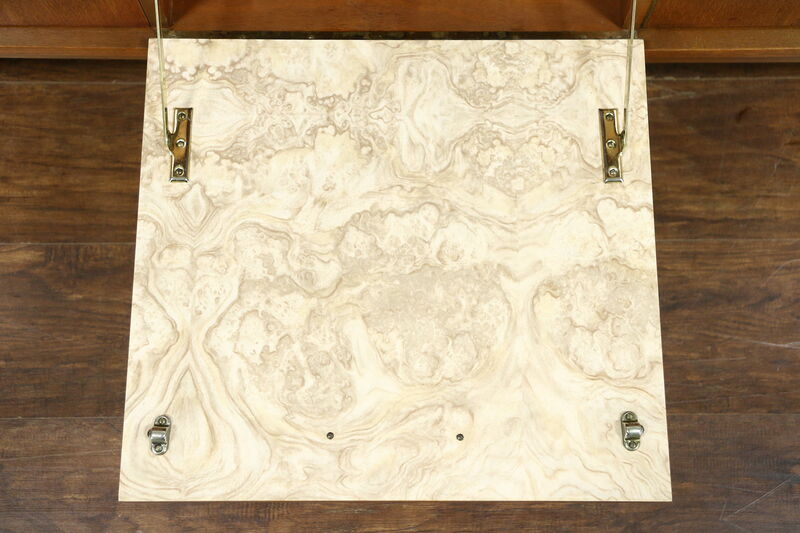 The drop front bar has a marbleized laminate serving area. 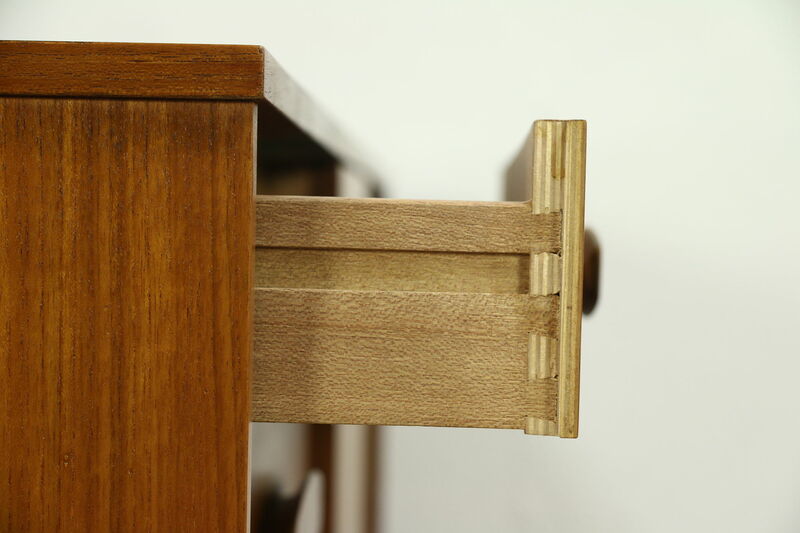 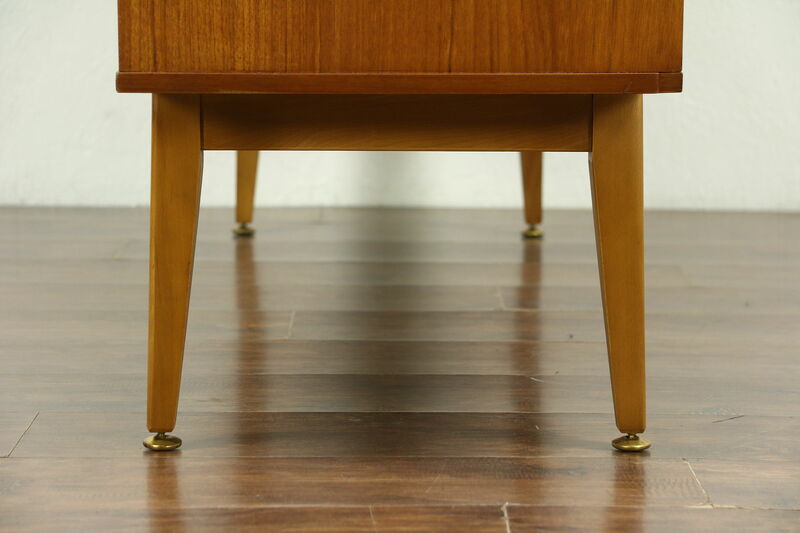 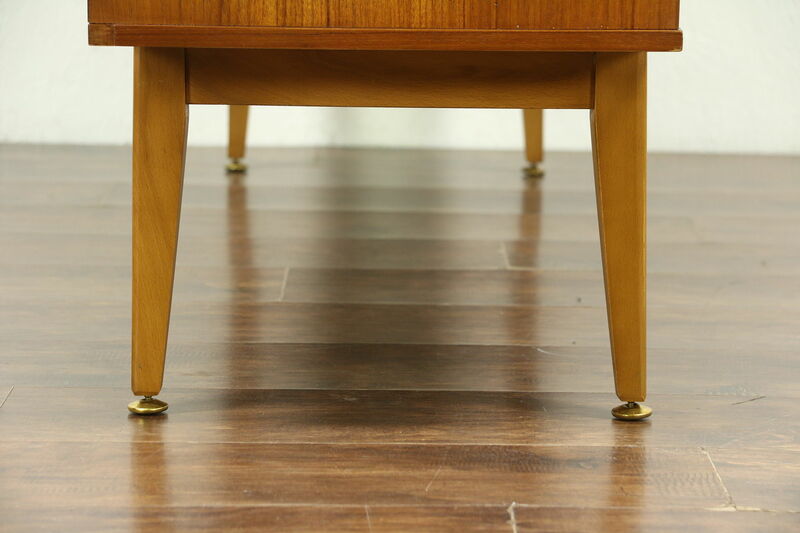 Squared legs and carved pulls are solid teak. 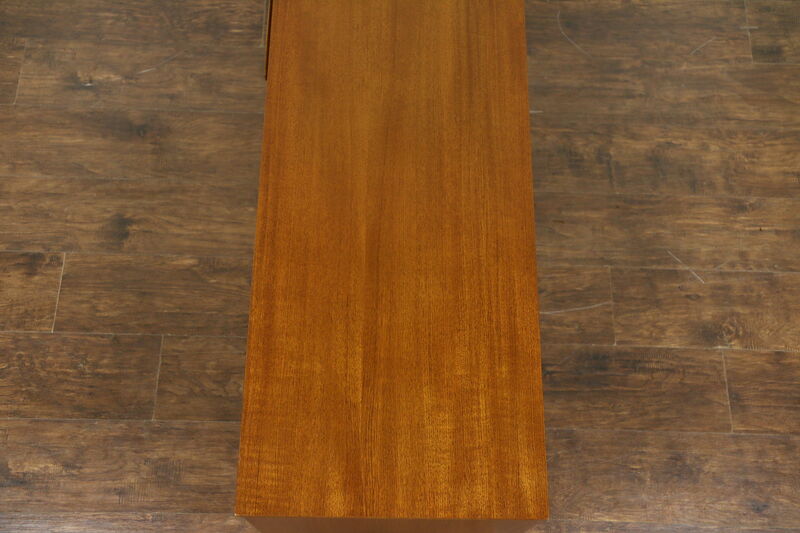 Measurements are 65 1/2" long, 17" deep and 28 1/2" tall.